Dervinias wrenched the Ostwallow sword out of the dead alien hunters&apos; grasp, thoughtful. An evil smile crept over his lips. The sword was a weapon meant to be wielded by a Formytian. Each Ostwallow chose its guardian, to be used for the good and honor of those sworn to protect. This one had chosen Zaren, yet it&apos;d come alive for Michael. Strange. And now the boy was on Kelari. He whipped and slashed the blade, admiring its death song. It wouldn&apos;t come alive, but that was of no concern. What mattered—? A high-pitched ping . . . Damn it! Hesitantly, he answered. "Your Highness." "Don&apos;t say another word. You&apos;ve failed! Give me one good reason I shouldn&apos;t kill you." "Because I have a plan. And it&apos;s going to rock the very foundation of Kelari." Want to continue the story? Click DOVETAILED. Available now on Wattpad! NOW AVAILABLE: Blood and Snow #1 is a CHOICE TEXT ADVENTURE game. Created by Delight Games. Pick it up free at the Kindle App Store today! When RaShelle isn&apos;t writing, she enjoys baking, creating new taco recipes, and watching Supernatural. She lives in Utah with her husband, three children and their three dogs. 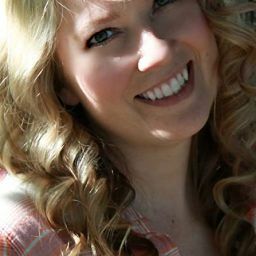 Find her online by visiting her website at: www.rashelleworkman.org. And sign up for her newsletter to receive free books and get information on book release dates: http://eepurl.com/chMcej. These stories do not have to be read in order, but you can. It does make the experience more fun.